If you are a parent who would like to ensure that your child learns what they should at each grade level and is well prepared for the many challenges that await them wherever they go or whatever institution they attend after High School, this is the place for you. We have searched the web looking for resources that can bridge the gap and ensure that every child is able to reach their potential. 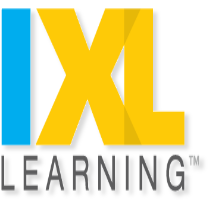 IXL is an immersive learning experience that provides comprehensive, curriculum-aligned math and english language arts content for junior kindergarten to grade 12. The site requires a fee but it is easy for students to use and tracks the students performance. Parents can login at any time to see their children's progress and it even sends email notifications to the parents when the student reaches certain milestones. The questions are multiple choice format and give detailed explanations of how to get the correct answers when the wrong answer is selected. This engaging and fun website will stimulate and educate your child. ​Time4Learning is a great homeschool curriculum choice for in children in Preschool, Grade School, Junior High and High School. Some parents use Time4Learning as supplementary while others use it as the primary homeschooling curriculum across the country enthusiastically, teaching on the computer. Abcya.com is a teacher-created website which provides fun and educational games and apps for kids to use under the guidance of their parents and teachers. The games do not collect personal information and children and adults are able to visit the site and play the games without providing any personal information to ABCya.com. How to use ABCya.com:ABCya.com was designed with a focus on children, parents and teachers. The services and features on the website reflect our focus. The navigation features of the website are simple and straightforward. The homepage provides links to seven main grade level categories: Pre-K, Kindergarten, First Grade, Second Grade, Third Grade, Fourth Grade and Fifth Grade. Grade level categories are broken down by content categories: Letters, Numbers, Skills (shapes, social studies, art), Strategy and Holidays. It's Free on PCsABCya.com is free to use on PCs! Advertisements pay for the website so you do not have to. Mobile devices require paid subscriptions to access all the content. To learn more about subscriptions on ABCya.com please read the subscription page. Science Techbook is a breakthrough K-12 digital science textbook that changes the way students and teachers experience real-world science phenomena, boosting achievement and igniting interest in the exploration of cross-cutting science concepts. This digital textbook is a one-stop shop, providing the perfect mixture of resources that teachers need to bring science to life. From STEM project starters, interactive tools, and hands-on labs, to model lessons and real-time student data, Science Techbook transforms classrooms into rich ecosystems that open students' minds and inspire them to learn. 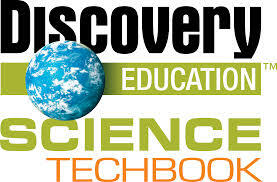 Built on the 5E model, Science Techbook combines different types of media to explain and reinforce science concepts. STEM connections are woven throughout and real-time student data helps to support differentiated instruction. TeachPitch is a cloud-based learning platform that helps teachers and schools identify the best online resources available. Our website was founded by a former teacher who, constantly constrained for time and budget, struggled to find and manage the best and most relevant answers to his questions among the abundance of learning resources, platforms and content already available on the Internet. We're also very proud that our software is currently being used in hundreds of schools all over the world. A dad who is passionate about math and helping all parents to teach math to their kids. Great site with tons of resources. Free educational resources for Middle Years to College students. Over 7000 educational videos. One of our priorities as teachers, educators and parents is to ensure that our students and kids use the internet in appropriate, safe and secure ways. Digital literacy and digital citizenship are two key theoretical concepts to start with. Understanding and teaching the ethos of these concepts to students will empower them with the required insights and know-how to help them navigate the web both safely and effectively. TinyTap is a social platform which empowers families, teachers and students to learn from each other by creating their own personalized interactive lessons. TinyTap offers the world's largest collection of educational games, created by teachers. Also featuring content from Oxford University Press! ... TinyTap Premium is a subscription service that gives unlimited access to all premium lessons and games, plus learning data, private storage, and an ad-free learning experience!